In response to my recent posts (here and here) where I talk about the research I’ve begun into Mormonism, I’ve gotten several comments urging me to reconsider, not to learn about Mormonism. Most comments have gone the other way, encouraging me to keep going and to write on this subject. But several have come from folks concerned that either I will be led astray by learning about Mormonism or that I will lead others astray. Some of the concerned comments have said that Mormonism is a cult and will therefore seduce me to join it through mind control techniques. Others have insisted that it’s futile to try to learn about Mormonism, because Mormons will lie about what they believe to outsiders. One could of course apply these arguments to nearly any non-Orthodox religion, but there seems to be a certain amount of fear regarding Mormonism that is heightened beyond other religions. Is there something about it that makes it extra dangerous? I don’t know the answer to that, but I will say that I have studied and written on dozens of non-Orthodox religions for years now. 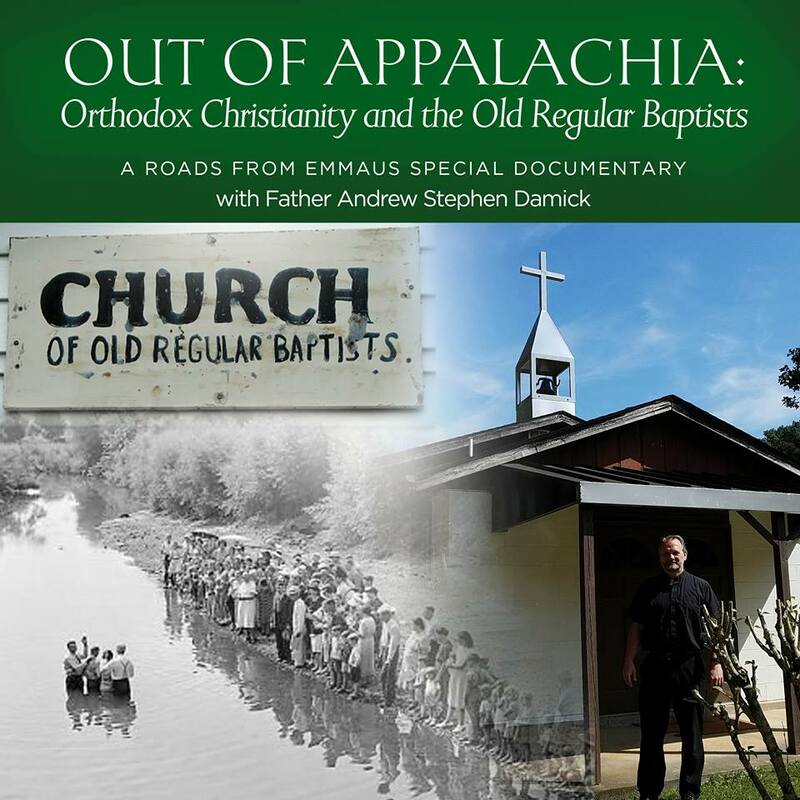 In the Orthodoxy and Heterodoxy book and podcast series alone is material on more than 100 non-Orthodox religions, denominations, movements, etc. And while I find things admirable and even congruent with Orthodoxy in many of those religions, I’ve never had a desire to join any of them. And I’ve also never heard of anyone else who read what I wrote and decided to leave the Orthodox Church as a result. In fact, all my studies have led me to be even more confirmed in my now nearly 20-year-old decision to become an Orthodox Christian. I am grateful to be Orthodox, and there is nowhere I’d rather be. I’ve never seen anything in all my studies that has made me regret that choice, and I can’t imagine I ever will see such a thing. What could there be? I’ve found the true Church of Jesus Christ, the one founded by Him on His apostles and prophets, the one that is the Ark of Salvation, the one that is the path to Paradise, the one that is the extension of the Kingdom of Heaven on earth. Where else would I go? And I’ve heard from hundreds (yes, hundreds) of people over the past several years who have told me that reading O&H or other things I’ve written on non-Orthodox religions have either confirmed them in their identity as Orthodox Christians or even led them to want to become Orthodox. O&H has sold thousands of copies (the last time I got numbers was in 2014, and it was about 6,000 then), and it’s not because people are using it to convert to non-Orthodox religions. All that said, the Church has from the very beginning both studied and responded to other religions. St. John of Damascus famously wrote in detail on Islam. St. Basil responded to several kinds of heretics. St. Athanasius responded to Arians and pagans. St. Justin Martyr responded to pagans and Jews. St. Irenaeus responded to gnostics and various heretics. St. Ignatius of Antioch responded to Docetists and Judaizers. And even St. John the Theologian responded to Docetists. I could name a lot more. The point in all these saints understanding other religions’ teachings and practices was twofold: to draw their members to life in the Church and to protect Christians from being led astray. The Church has always responded to the religions that surround it, the ones it encounters, and the ones that it finds growing nearby. I don’t claim to be a true apologist (I’m just introducing people to the main apologetical questoins), but apologetics is itself an ancient programme within the Church. This is part of what the Church does, and it’s also where a huge amount of her dogmatic and theological heritage comes from. I’m only one participant in this programme, but I’m proud to be part of it. And I’m grateful that I have been blessed to do so. So I want to hear some of your experiences, too. Has it been useful to you that the Church understands and responds to non-Orthodox religions? Was it a part of your own journey in some way? Are you grateful? Do you think the Orthodox should avoid any study or response to the non-Orthodox? I want to hear from you. 1) I have an understanding of what “truth” and”faith” means in the Orthodox Christian Church. When you learn the deeper meanings of the words “pistevo” and “logos” from the Greek Language it helps a lot in the journey to understand the world. 2) I have a healthy and comprehensive understanding of Orthodox Christian Soteriology. It’s all about Soteriology!!! If your understanding of salvation is off then, I mean opinion, you are going to be in a load of pain. Knowledge of other religions is a key to successful missionary work. It enables one to understand another person’s spiritual frame of reference and to open a path to explain orthodoxy. For example, if you were dealing with an evangelical, you would know that they have a strong aversion to icons which they see as idolatry. To counter this, you would have to explain the Orthodox position. with allusions to Scripture, the Fathers and early Church history. If you were ignorant of that person’s religious world view, you very well may come off inarticulate, flat-footed and ineffective. i don’t think learning as a tool for is wrong at all, although i do believe is the subject to study should be chosen with vocation and care. otherwise it is simply a premeditated uninterested meddling to gossip, sometimes, with only partial knowledge so as to quickly label. when we do not know, it is best to keep silent and, if knowledgeable, only speak for edification purposes. successful missionary work, i dissent, does not depend on knowledge but a conceptual grasp of ‘mission’, an applicable realistic plan and ability to see it thru despite sometimes very cruel opposition. it is worth mention that what may work for your conviction in orthodoxy might not be applicable to all. (generic answer to title of blog). When you have the truth and you understand it. You need have no fear of a lie. And In fact an understanding the lie is the best road to teaching truth. Just my opinion. Your book Orthodoxy and Heterodoxy and An Introduction to God has strengthened my Feet firmly in the Faith. I never had doubts. However, your book gives me the knowledge to speak from a strong positon about Orthodoxy in reference to other religions. I believe the more we learn about others with reflection back to our Faith, one can only appreciate the gift Jesus Christ gave to us through his Apostles. I was present in the room for that lecture — it was excellent. I have always enjoyed reading Orthodox apologetics and comparisons with other religions. I have enjoyed your podcast series and book on this subject. Most of my exposure to this material came *after* I “made a decision” for Orthodoxy, so I suppose I’ve used it to bolster my own choice…to fill my echo chamber with the pleasing sound of self-affirmation! But seriously, I think such efforts are meaningful. I have also done some reading about Mormonism, although I wouldn’t call it “study” per se. I’ve read Fawn Brodie’s book several times (in fact, seeing your photo above is what prompted me to check out this post). I’m fascinated by Mormonism — by the phenomenon of that faith, by the mystery that is Joseph Smith. But I can’t say I’ve ever read anything definitive about him and his motives. Brodie’s book is helpful, but it doesn’t “lay it on the line,” at least in my readings of it. I want hard facts but those are, sadly, not forthcoming. I have never felt any inclination to join the Mormon religion, despite my reading, despite family members that attend that church, despite Mormon “elders” making an evangelistic presentation in my home. I think someone like yourself who (if you don’t mind me saying) seems quite firm and settled in his Orthodoxy will emerge unscathed in your faith after a study of the Mormon religion. I think such study is a danger to those who are weak in their faith or, more importantly, disgruntled. Having lived in the “Burned Over District” all of my life (first Buffalo, now Rochester), I find the whole topic of religions and cults and all the weirdness that has coursed through this area quite fascinating. Therefore, I would certainly be interested in seeing what you find. But when it comes to Joseph Smith and the Mormon Church, I suspect you’ll come away as mystified as me. I used to be a Mormon. I joined when I was a teenager and then spent 22 years in that church. Mormonism claims to have truth that other religions don’t, to be a restoration of the Church of Jesus Christ. There is very strong conditioning within Mormonism to only read approved material and never to read anything written by a critic of the church, which they call anti-Mormons. Once I started questioning what I was being taught and allowed myself to read things that had not been vetted by the church leadership it didn’t take long for me to realize that I did not believe the truth claims of Mormonism. I’ll admit that I was very jaded at that time. I did not know where to turn for truth. There is a story in the Mormon church, I’m not sure where it originated, that once a Roman Catholic Priest spoke in Salt Lake City and he said that either the Catholic Church was true or Mormonism was true, but all the others were definitely false. I don’t know if that is a true story or not, but when I left the Mormon church I started reading about early Christianity and discovered that actually Orthodox Christianity was the original church of Christ. I am currently a catechumen and am looking forward to baptism. I wish more Orthodox Christians knew about Mormonism because Mormonism takes the most basic and precious truths of the Gospel of Christ and twists them in so many subtle and complicated ways that it has been difficult to untangle them. It would be nice to talk to someone who understand. St Dionysius of Alexandria (3rd century), in a fragment of one of his letters, discusses this issue. Apparently someone had also warned him not to read heretical writings, for fear that he would led astray. The fragment is preserved in Eusebius’s Church History (don’t have the book and chapter reference on hand). It will also be in Charles L. Feltoe’s turn of the (20th) century edition of the fragments of St Dionysius, which is available on archive.org. I’ve appreciated learning about other religions and this led me from my path towards Buddhism to the Catholic church. I read Thomas Mertons book Zen and the birds of prey I believe, and realized the church had a long history of meditation. I began reading church fathers and soon afterwards I became Catholic. I have a great appreciation for orthodoxy as well and continue to learn more from you and others. I’m not sure if you are still looking for comments regarding your research into Mormonism, but if so, I wanted to reach out. Ironically, I am a faithful Mormon who is facing your same dilemma in reverse. I am just beginning research on a series of books geared towards helping those of my faith better understand and relate to those of other religions. My first order of business has been to try and figure out why so few of us (not just Mormons, but all faiths) have this fear of learning about other religions. Is it because we are worried we will lose our own faith? Is it that the topic of our faith is such a highly emotional and personal issue that we avoid something as cold and scientific as comparative analysis? Interestingly, this article was one of my first I read on this matter and I believe it perfectly illustrates this timidity we all face in “peaking” over the fence into other faiths. I have had very real and personal confirmation as to the truth of my beliefs and yet I too stand at start of this research a bit afraid to leave the safety of my comfortable religious convictions in search of other viewpoints. I would be very interest to talk to you more about how you deal with this issue and I would be very happy to give any assistance in your effort to research the Mormon church. I love it when people researching my church take the time to get the story from those who truly believe it. It’s a very interesting question to me. And with a new podcast called “The Areopagus” that a friend of mine and I are starting up, it will actually be discussed on the very first episode. I hope you’ll check us out and tune in when the time comes.